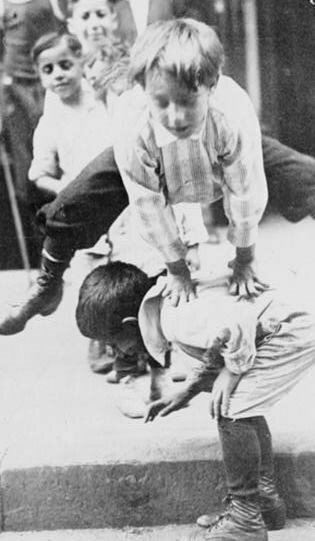 These playing children demonstrate the latent possibilities of urban renewal in general. With the aid of a little concrete, wood, aluminum there have come into existence social centers: places where children and parents meet, true extensions of the doorstep - for it is on the doorstep that the outside and inside worlds, the spheres of collective life and of individual life, intersect. Here at any rate the child has moved to the center. Since the artist is essentially an ally of the child, the job has been particularly rewarding... It is surely for the artist - whatever his medium - to introduce grace and beauty where they have vanished or gone into hiding. 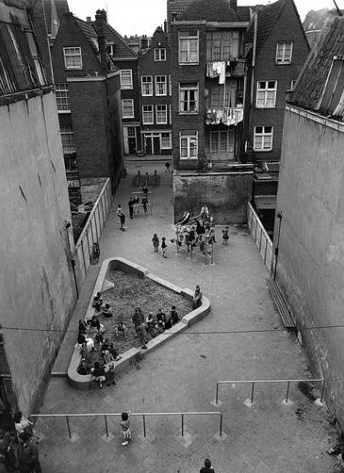 - Aldo van Eyck, architect who helped design 736 playgrounds in Amsterdam , mostly in the 50s and 60s. I believe it was a South American leader who said that children act as an indicator species for our cities. It's all so true.